It is unusual to hear about the doctrine of eternal punishment these days. Indeed, it is rare to hear a sermon that dares to address the very notion of hell. Christopher Morgan and Robert Peterson are the editors of the excellent work, Is Hell For Real Or Does Everyone Go to Heaven? The short and readable book includes five chapters which are authored by Albert Mohler, Robert Yarbrough, Christopher Morgan, Robert Peterson, and J.I. Packer. Each author addresses the doctrine of eternal punishment for different angles. Yet each author is committed to the biblical doctrine of hell. The respective authors explore the reality of hell, Jesus’ teaching concerning hell, and related topics of annihilationism and universalism. Each author defends this all-important biblical doctrine and remain faithful to the teaching of Scripture. Is Hell For Real Or Does Everyone Go to Heaven? is not meant to be a comprehensive treatment on the doctrine of hell. Rather, it serves as an introduction to this very important topic. Robert Peterson’s book, Hell On Trial: The Case for Eternal Punishment provides a more thorough defense. I recommend it highly! 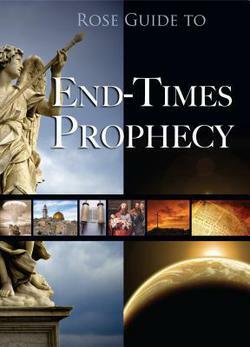 Rose-Guide to End-Times Prophecy by Timothy Paul Jones is a terrific overview of eschatology designed for beginning Bible students. The author provides a fairly comprehensive look at the four major eschatological views – Amillennialism, Postmillennialism, Dispensational Premillennialism, and Historical Premillennialism. Each position is spelled out in a fair manner – an unusual approach. Today, the movie Heaven is For Real hits the silver screen. The film is based on the popular book by Todd Burpo, a Wesleyan pastor from the great state of Nebraska. The book has experienced unparalleled success. It has sold over 8 million copies and does not appear to be losing any momentum. First published in 2010, Heaven is For Real continues to attract Christians and non-believers alike. On the week of April 14, 2014, the Burpo book sits strong at number two in the combined print and e-book nonfiction category on the New York Times bestsellers list. It boasts nearly 8,000 reviews on Amazon.com, with almost 6,000 of those credited with five stars! Whenever a faith-based movie drops, Christians tend to flock to the theater. Many churches are bound to jump on the bandwagon and promote this motion picture which will only catapult book sales to great heights. Despite all the accolades and the interest the book is generating, there are some real problems that surface. Heaven is for real; this much is true. Yet the theology which emerges is deeply troubling. Readers should carefully weigh the content with biblical discernment and discretion. At least three general problems plague this book. Heaven is For Real promotes views about heaven that do not match the teaching of Scripture. For instance, little Colton describes being afraid in heaven. Colton says, “Dad, Jesus had the angels sing to me because I was so scared. They made me feel better.” Yet Scripture describes heaven as a place where tears and fears will be erased. When John the Apostle describes the new heaven and a new earth, he writes, “He will wipe away ever tear from their eyes, and death shall be no more, neither shall there be mourning nor crying nor pain anymore, for the former things have passed away” (Rev. 21:4, ESV). Colton describes his experience with the saints in heaven who actually have wings. “Everybody’s got wings,” he says. Evidently, Jesus is the only one in heaven who doesn’t have wings: “Jesus went up and down like an elevator,” he says. Additionally, Colton remarks how “everyone kind of looks like angels … and have a light above their head.” Of course, there is nothing in Scripture that even hints at the idea of saints who don wings or have halos above their heads. This is the kind of banter that has grown popular at funerals where grieving loved ones anticipate the heavenly abode. The only problem is that these beliefs are foreign to Scripture. In a stunning admission, Colton refers to a deceased relative who is in heaven: “He’s got a new body. Jesus told me if you don’t go to heaven, you don’t get a new body.” The problem is that “Jesus” appears slightly confused because the Word of God says otherwise: “But our citizenship is in heaven, and from it we await a Savior, the Lord Jesus Christ, who will transform our lowly body to be like his glorious body, by the power that enables him even to subject all things to himself” (Phil. 3:20-21, ESV). Jonathan Edwards adds, “When believers get to heaven, Christ will conform them to himself, he will give them his glory; they shall in their measure be made like to him; their bodies after the resurrection shall be conformed to his glorious body.” In other words, the only person in heaven with a glorified body at this time is the Lord Jesus Christ. His followers wait for his return to receive their glorified bodies (1 Cor. 15:42-49). One of the preoccupations with people who claim to have toured heaven is with the various colors. There is no doubt that heaven will be a place brimming with color (Rev. 21:9ff). However, what is troubling in these accounts is the fascination with the colors and the minimization of God’s glory (Rev. 21:22-26). The Bible never hints at anyone who died and went to heaven and came back to report about it (Prov. 30:4). Scripture records four men who caught a vision of heaven and briefly reported what they saw – John the Apostle, Paul the Apostle, Ezekiel, and Isaiah. Additionally, Scripture is clear about the destiny of people who die: “And just as it is appointed for man to die once, and after that comes judgment” (Heb. 9:27, ESV). No second chances. No return visits. After death comes the judgment, not a book deal. Heaven is For Real promotes a mindset that militates against the Sola Scriptura principle. Colton claims that “Angels carry swords so they can keep Satan out of heaven!” He maintains, “Jesus wouldn’t let me have [a sword]. He said I’d be too dangerous.” He claims to have seen Satan. And he claims to have seen Mary kneeling before the throne of God. The Reformers rightly said that Scripture was their highest authority. To report this kind of information about heaven is tantamount to adding to Scripture, activity that is forbidden (Rev. 22:18-19). All these extra-biblical revelations indicate a lack of confidence in the sufficiency of Scripture. Ultimately, Heaven is For Real pits experience against the authority of Scripture. The author notes, “We had taught Colton about our faith all his life. But if he had really seen Jesus and the angels, I wanted to become the student, not the teacher.” The humility is commendable. But a father is charged with discipling his children and raising them in the discipline and instruction of the Lord (Eph. 6:4). The author expresses his belief in being careful about what he says about heaven from the pulpit. He writes, “I teach what I find in Scripture.” Yet the author is quick to accept the testimony of a small child – even if that testimony militates against the Word of God – a dangerous practice to be sure. A Ukrainian girl named Akiane has reportedly visited heaven and has returned to tell her story. 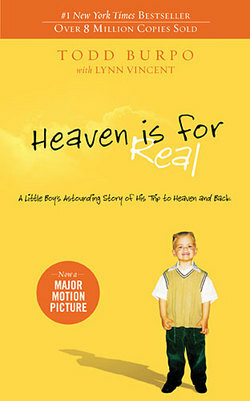 The author of Heaven is For Real admits, “I made a mental note for future sermons: Akiane’s story showed that God can reach anyone, anywhere, at any age – even a preschool girl in a home where his name had never been spoken.” But Scripture disagrees with this assessment: “But how are they to call on him in whom they have not believed? And how are they to believe in him of whom they have never heard? And how are they to hear without someone preaching? And how are they to preach unless they are sent? As it is written, ‘How beautiful are the feet of those who preach the good news!’ But they have not all obeyed the gospel. For Isaiah says, ‘Lord, who has believed what he has heard from us?’ So faith comes from hearing and hearing through the word of Christ” (Rom. 10:14-17, ESV). Apparently, Akiane paints portraits of Christ as she saw him in heaven. Colton appears to have verified the image as identical to the “Jesus” he saw in heaven. The author seems to think that he has “seen the face of Jesus.” But here is the rub. He adds, “We still don’t have all the answers – not even close. But now we have a picture in our minds, a picture we can look at and say, ‘Wow. '” Yet the Word of God expressly forbids such activity (Exod. 20:4). Calvin rightly refers to the human heart as an “idol factory.” Each of us is vulnerable and easily led astray by images of Christ. Again, instead of trusting the sufficiency of Scripture we are led astray by images. Heaven is For Real contains some disturbing ideas of what constitutes the gospel. For instance, Colton remarks, “Jesus told him to be good.” This is nothing more than moralism. This is a subtle brand of works-based salvation that the Scripture finds so repugnant (Isa. 64:6). Too many people are embracing a gospel of good works; a gospel that finds sinful man making his way to a holy God. But in the final analysis, we find a holy God making his way to sinful men by sending Jesus to die on a cross for the sins of everyone who would ever believe. J.D. Greear beautifully summarizes this gospel: “The gospel is the announcement that God has reconciled us to Himself by sending His Son Jesus to die as a substitute for our sins, and that all who repent and believe have eternal life in Him.” So let us cast aside a gospel of good works and embrace the biblical gospel (Gal. 1:6-8). Make no mistake – Heaven is for real. The Scripture reminds us of this in powerful ways. Yet God’s Word demands readers to exercise biblical discernment, what Tim Challies refers to as “the skill of understanding and applying God’s Word with the purpose of separating truth from error and right from wrong” (The Discipline of Spiritual Discernment, 61). Not everything in Heaven is For Real is wrong. Not everything is unbiblical. Some of these descriptions are taken directly from the biblical account. My concern has less to do with the imagination of a three-year-old boy. My greater concern is with people who believe these stories; stories which do not match the infallible authoritative Word of God. The real concern about heaven is guarding the biblical doctrine of heaven; about embracing everything the Bible teaches about heaven and refusing to add details that militate against biblical revelation. So let us be discerning in these days (Col. 2:8; Matt. 24:4; Mark 13:5). Let us pray the prayer of Solomon as we evaluate books and movies in this culture. And may we hold steadfastly to the gospel once for all delivered to the saints. The biblical doctrine of eternal punishment is part of the warp and woof of historic Christianity. Prominent theologians from Augustine to Calvin and Wesley have boldly taught this doctrine. Luther remarked, “The fiery oven is ignited merely by the unbearable appearance of God and endures eternally. For the Day of Judgment will not last for a moment only but will stand throughout eternity and will thereafter never come to an end. Constantly the damned will be judged, constantly they will suffer pain, and constantly they will be a fiery oven, that is, they will be tortured within by supreme distress and tribulation.” Despite the widespread support for this crucial doctrine, several writers in recent years have either discounted the doctrine of hell or denied it outright. After the release of Rob Bell’s Love Wins (see my review), there was a huge chasm between Bell’s work and people in the pew. The net result is a large audience who either affirmed or were sympathetic to Bell’s compromised position. Thankfully, Francis Chan and Preston Sprinkle stepped up to the plate and not only offered a response to Bell; they also affirmed the biblical doctrine of eternal conscious punishment. Chan and Sprinkle serve up an impressive number of arguments that bolster the case for hell and provide a rational, biblical defense of this important doctrine. While Erasing Hell is written with the laymen in mind, it is not simplistic. Nor is it compromised in any way. The authors do not claim to have all this answers, which may appeal to younger readers more inclined to postmodern literature. Rather, they merely spell out the basics of the biblical doctrine. Christopher Morgan and Robert Peterson join forces to answer one of the more controversial questions of the 21st century, “What is hell?” Careful readers notice from the outset that the very question implies the existence of hell. 1. Hell is punishment (Matt. 5:20-30, 24-25; 25:31-46; 2 Thess. 1:5-10; Rev. 20:10-15). 2. Hell is destruction (Matt. 7:13-14, 24-27; 24:51; Rom. 9:22; Heb. 10:27). 3. Hell is banishment (Matt. 3:1-12, 7:21-23; 8:12; 13:41-42, 49-50; 25:41; Rev. 22:14-15). 4. Hell is a place of suffering (Matt. 3:12; 8:12; Mark 9:42, 48; Rev. 14:10). 5. Hell is eternal (Dan. 12:2; Isa. 66:22, 24; Mark 9:43, 48; Matt. 25:41, 46; Jude 7, 13). In an ultimate sense, the doctrine of hell helps Christians remember the mission of the church. It reminds us of God’s majesty and the cosmic treason known as sin. And it reminds us of the final fate of anyone who rejects the Savior that God sent. The doctrine of hell reminds us of the foolishness of universalism and inclusivism, the notion that all will be saved – even the ones who refused to believe in Jesus. The doctrine of hell should humble Christians and prompt God-centered worship. Christopher Morgan and Robert Peterson have accurately described hell and given sufficient biblical evidence to warrant belief. This book is a serious warning to so-called evangelicals who have compromised the doctrine of hell by promoting universalism, inclusivism or annihilationism. Highly recommended! Heaven, by Peter Kreeft seeks to recapture the longing of every human heart. “Heaven is not in your heart but a picture of heaven, a silhouette of heaven, a heaven shaped shadow, a longing unsatisfied by anything on earth.” The purpose of the book is to raise that picture to consciousness. The author contends that one must first diagnose the cause of human hopelessness before a prescription can be offered. Kreeft attempts to make an accurate diagnosis by pointing to broad historical movements that have engaged in a quest for heaven. First, Kreeft points to the Renaissance which longed to return to Greco-Roman humanism and rationalism. In contrast, the Reformation longed to return to simple biblical faith. The two movements in history disintegrated into the medieval synthesis which produced modernity. The author notes that “once modernity denies or ignores God, there are only two realities left: humanity and nature. If God is not our end and hope, we must find that hope in ourselves or in nature. Thus, emerge the two new kingdoms of modernity – the kingdom of self and the kingdom of this world.” Both are clearly alternatives to the kingdom of God and result in idolatry. The author goes on to show that every idol has “cracks.” Hence, every idol, whether ancient or modern does not work. Every idol fails to produce lasting happiness. They make promises they can never deliver. So every potential worshipper is faced with three choices: A turning to the true kingdom of God, a turning to another idol, or a turning to nothing which leads to despair. Kreeft proceeds to explore the heart’s longing for heaven. “We find the presence of God by first finding the presence of the absence of God, the God-shaped hole that nothing else can fill.” Therein lies humanities deepest failure – to satisfy our deepest desire, a relationship with God. The author concludes that we are already in heaven in part. The eschatological hope is not mere speculation or a flirting with eternal things. It is now. It is not only the future hope of heaven; it is the present reality of eternal life, living Coram Deo – before the face of God. Heaven is filled with strong points. First, the historical movements give the reader a context to understand modern day attitudes. Second, the philosophical approach is commendable. Rather than offer “pie in the sky” answers, the author deals with tough questions in a biblical fashion. The author embraces the philosophy of C.S. Lewis which only enhances the book’s credibility. Third, the author writes with precision and causes the reader to think deeply about the important questions in life. Fourth, the book offers hope. It is entirely positive and gives the reader hope for the future and a better understanding of the eschatological hope. Further, it stresses the reality of eternal life in the here and now, not merely in the future.